Hi everyone, Christine here today. Here in the UK Mother’s Day is fast approaching and a perfect opportunity to make a thank you card for my very special Mum. 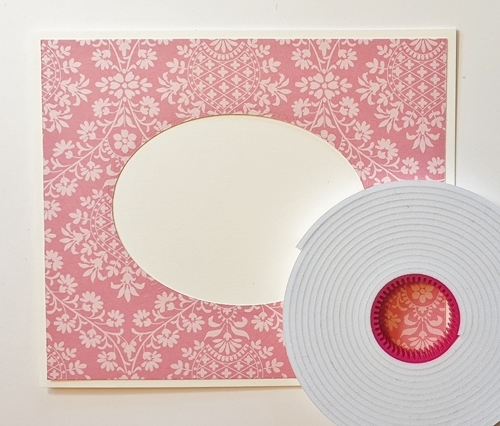 Out came the pretty pink paper and my fantastic Scrapbook Adhesives by 3L products. 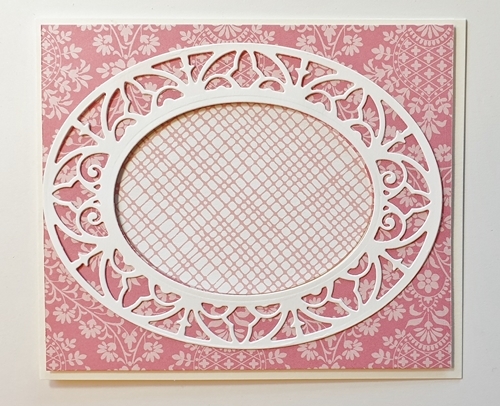 To start, I die cut an oval aperture in the centre of the pink paper and affixed this to an ivory card base with Crafty Foam Tape, White. 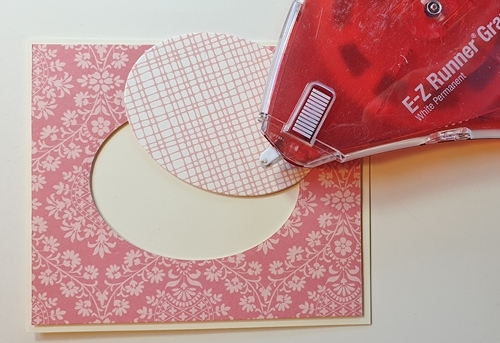 The paper was patterned both sides so switching it over to the alternative pattern, I adhered the oval die cut into the aperture with E-Z Runner Grand Refillable Dispenser. There’s a variety of refills for the E-Z Runner Grand, Permanent Dots, Ultra Strong, Repositionable Dots and Permanent Strips, all brilliant – be sure to take a look. I die cut a decorative frame from an ivory card and affixed around the aperture. My flowers die cut and colored with distress ink. 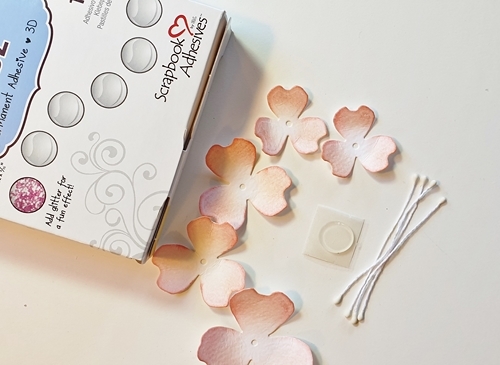 The easiest way to keep stamens in place is with Adhesive Dots 3D. 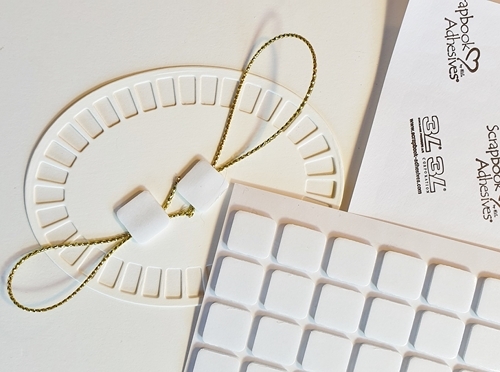 There’s need to get messy with a glue gun, these do the trick. 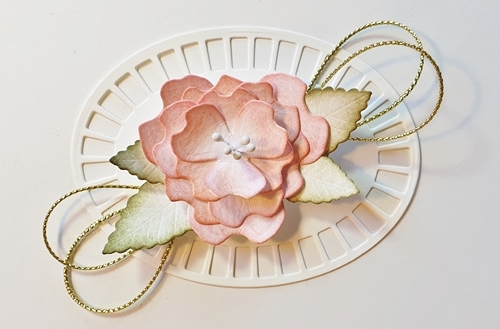 Push the stamens through the middle of your flowers, hold and trim on the reverse. Cover the stamen ends with the adhesive dot. Next, to add gold twine in perfect loops behind your flowers use 3D Foam Squares Regular – no worries on trying to achieve the perfect bow! Peel off the 3D Foam Square backing to affix the flower and leaves in place. A pretty element to affix to the card front. Up until this point, I was making a landscape card and then decided I preferred its portrait! The finished card with a stamped thank you die cut sentiment. This entry was posted in 3D Foam Squares, Adhesive Dots & Lines, Adhesives, Cards, Crafts & Tutorials, Crafty Foam Tape, E-Z Runner® Grand, Intermediate, Permanent Adhesive, Seasonal Craft Ideas, Skill Level, Spring, Tutorial and tagged 3D Foam Squares Regular White, Adhesive Dots 3D, Card, Card Making, Christine Emberson, Crafty Foam Tape White, Mother's Day, Spellbinders Paper Arts, Thank You, Tutorial. Bookmark the permalink. 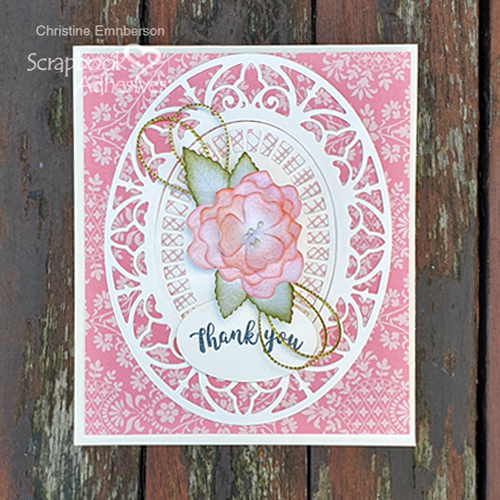 2 Responses to "Mother’s Day Thank You Card Tutorial"
A very pretty card thank you. 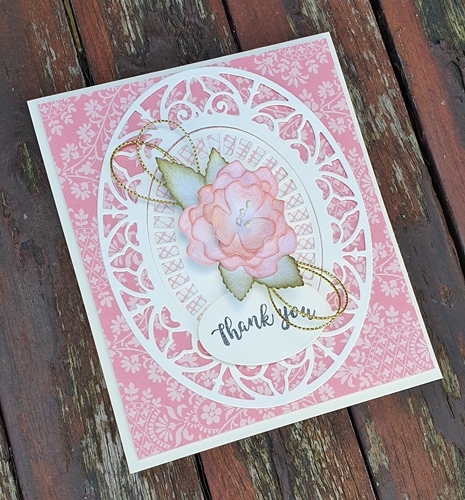 Beautiful card, love the little flower and gold twine is a nice change from ribbon, A card any Mother would love to be given for Mothers Day, Thank you for the step by step instructions.